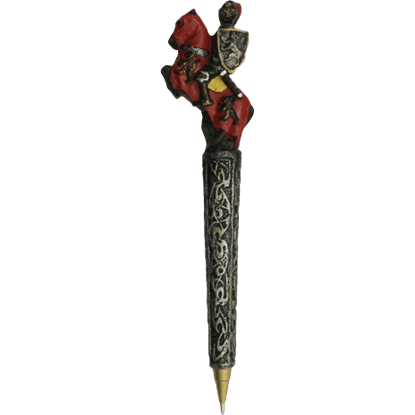 Write the right way with one of our medieval pens! Here you will find all our historical, fantasy, and collectible pens, including quill pens, for writing just about anything. Great for adding new interest to the writing experience or just spicing up everyday note-taking, these collectible pens vary widely in style. 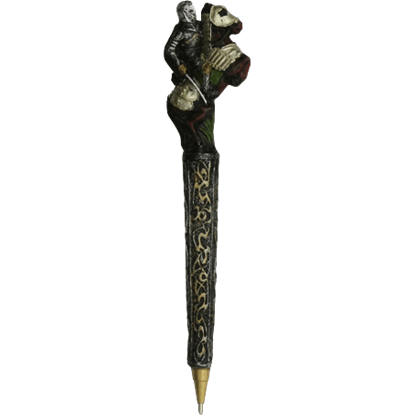 We offer gorgeously detailed fantasy pens with hand painted, cast resin casings, as well as pens topped with medieval knights, gothic skulls, and Templar crosses. Our medieval and Renaissance quill pens will add a historical flair to everything you write. 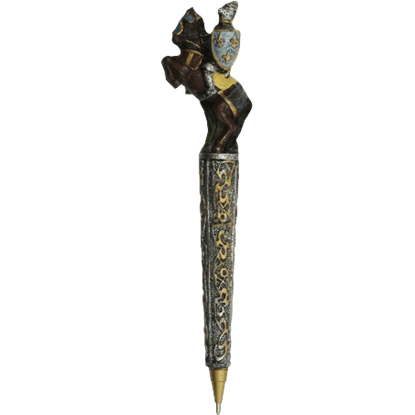 Great gifts, collectibles, and effortless ways to add excitement to any writing task, our medieval and fantasy pens are great for any writer. Even pirates have to write, and in the old days, when pens were not common or invented, they used a quill! 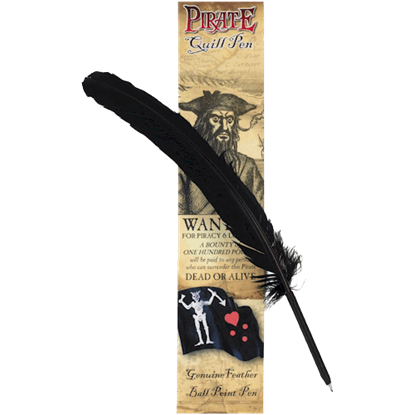 This Black Pirate Quill Pen echoes a pirate style, but adds in modern convenience for everyday ease of use. 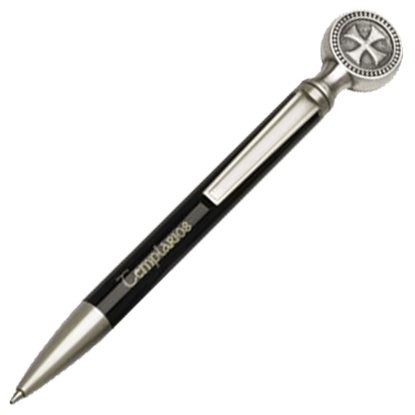 For any executive or writer who maintains a collection or love of anything and everything Knights Templar, this is the perfect pen. 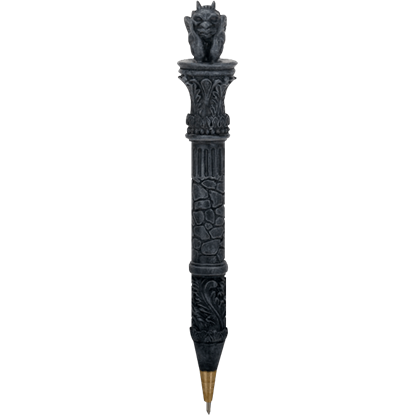 The Black Templar Knight Ball Point Pen, by Marto infuses knightly style into your writing. This real feather quill comes with a biro nib. It measures approximately 12 inches long. It is packed in a clear polythene bag with a full color information card, describing the history of the pen. 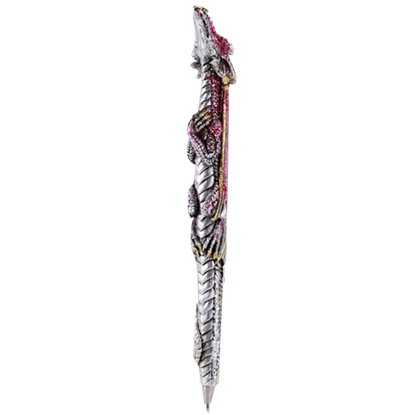 Proud snout lifted high, golden claws folded in a solemn vow, the Fire Dragon Ballpoint Pen assists its wielder in daily writing tasks. This fantasy pen will inspire you throughout the day with its efficiency and beauty. Gargoyles like to sit on things, it happens to be what their best at. They are made for decoration, so why should they not decorate everything they can fit on? The Gargoyle Pen Set features little gargoyles sitting on the ends. What could be a better way to pen your missives than with a Loose Quill Pen? 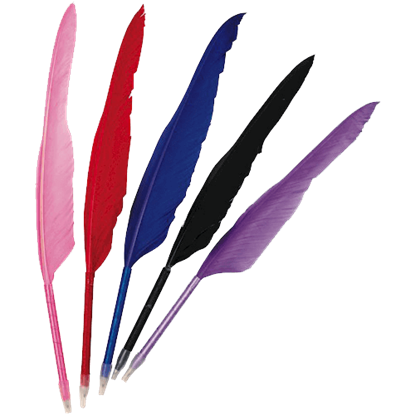 These colored, feathered pens will help you stand out from the crowd while jotting down notes, writing pieces, or signing your name. The Magna Carta was sealed under oath by King John in 1215 and became one of the most important constitutional documents in history. 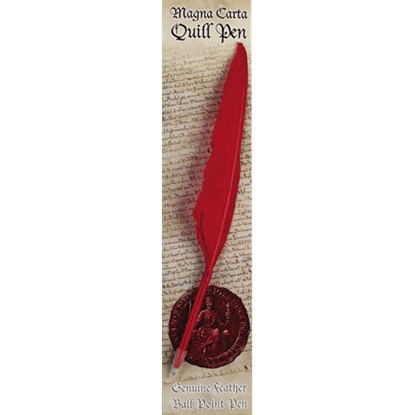 The Magna Carta Quill Pen provides a fantastic collectible to recreate this iconic moment. Before their decline in 1820, quill pens were the writing tool of choice. 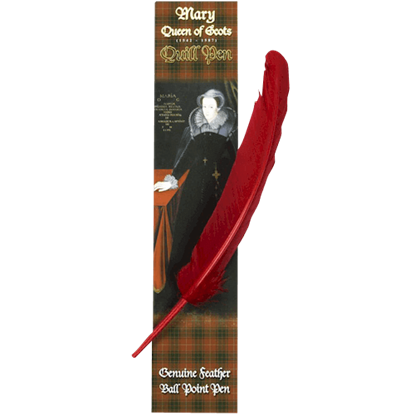 Even a noted figure like Mary Stuart would have used them, which is why this Mary Queen of Scots Quill Pen bears her name. It includes information about this queen. This real feather quill comes with a biro nib. 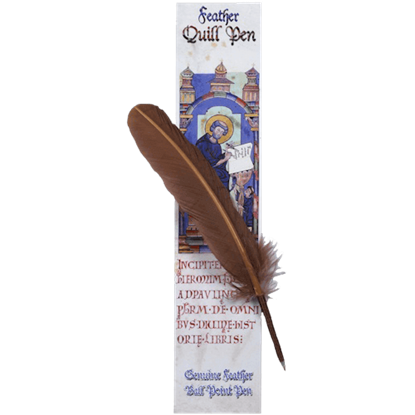 The Medieval Quill Pen measures approximately 12 inches. 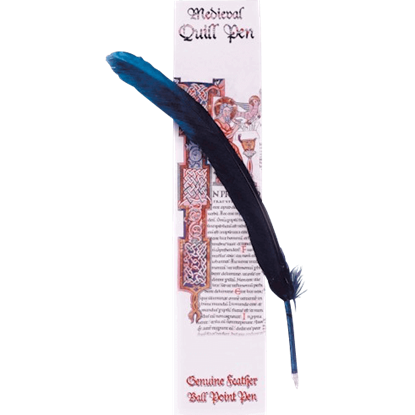 It is packed in a clear polythene bag with a full color information card, describing the quill pen and its use in medieval times.